It was a donation that was truly emblematic of the NHLPA's renowned Goals & Dreams fund: 50 sets of hockey equipment presented to a grateful group of children and their communities. Project North, as it is known, was founded and organized by Canadians Michelle Valberg and Joan Weinman as a way to 'give something back' to the north as they work on a book, to be published in the fall of 2011. The book, The Land and Life of the Inuit: Through the Generations will depict, through both stories and photographs, life in the north of Canada, told through the voices of a four-generation Inuit family. The goal of the Project North is to equip northern youth with sports equipment to assist them in their desire to become involved in community sports. One of the main barriers preventing children from the opportunity to experience sports is the financial inability to purchase equipment. The intent of the project was to supply sports equipment (primarily hockey equipment) to youth in two communities: Nunavit and Nunavuk. Supported by NHLPA member Chris Phillips, Valberg, Weinman and their crew recently traveled to Igloolik, Nunavut, an Inuit hamlet in the Qikiqtaaluk Region, and home to just over 1,500 people, to hand out the equipment and document the experience on film. The event proved to be quite memorable for Valberg, an award-winning Canadian photographer. “This trip to Igloolik and giving the equipment to the community from the NHLPA was truly one of the highlights of my life,” said the Ottawa-based photographer. Phillips, a veteran of nearly 900 NHL regular season games, known for his commitment to several charitable initiatives, was equally honoured to support Project North. 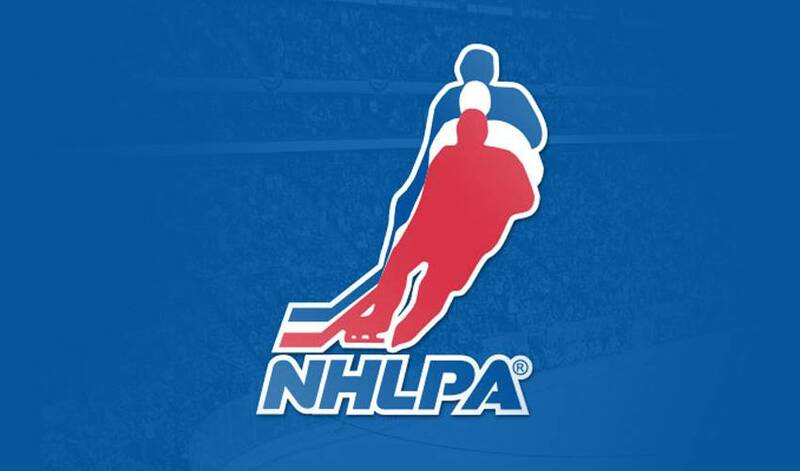 NHLPA Goals & Dreams was launched by the National Hockey League Players' Association in November, 1999 as a way for the players to give back to the game they love. Funded entirely and solely by the NHLPA Members, the Goals & Dreams fund is the largest grassroots hockey program in the world. Goals & Dreams celebrated its 10th anniversary in November, and to recognize the players' commitment to supporting grassroots hockey programs around the world, Goals & Dreams Ambassadors, embarked on a 10 countries in 10 days tour. The tour began on November 13 in Ornskoldsvik, Sweden, and made stops in Helsinki, Finland, Moscow, Russia, Riga, Latvia, Prague, Czech Republic, Trnava, Slovakia, Sarajevo, Bosnia, Frankfurt, Germany, and New York City, USA, before finishing in Toronto on November 22. More than $180,000 in equipment – 360 complete sets - was donated to programs over the course of the trip. "Through Goals & Dreams, the players continue to contribute their time and support towards helping thousands of children in hundreds of communities around the world experience the joy of hockey,” said Devin Smith, NHLPA Goals & Dreams Chairman. “It is a true testament to their commitment to the game and to those who love the sport as much as they do." For Phillips, Project North, the most recent Goals & Dreams endeavor, is extremely gratifying for all involved. The people of Igloolik would no doubt agree.